Today I’d like to share with you one of my favourite days out in Scotland. As a young lass growing up in Lanarkshire this particular location was a proud part of our local history. I am of course talking about about New Lanark. 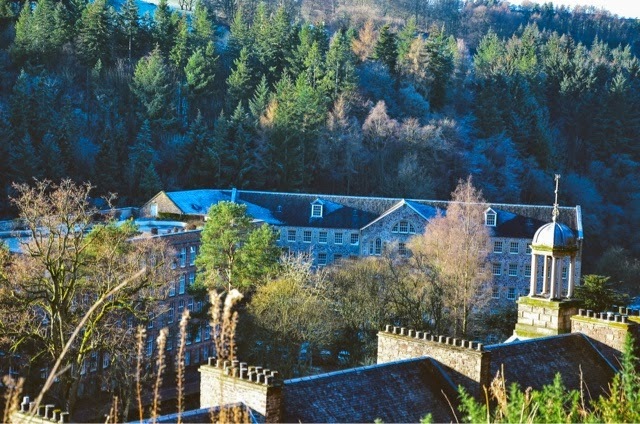 New Lanark is a UNESCO World Heritage site located roughly a 1 hour drive from Glasgow. Despite having been numerous times growing up, on school trips etc, I still return time and time again as an adult, as there is always something new to discover. 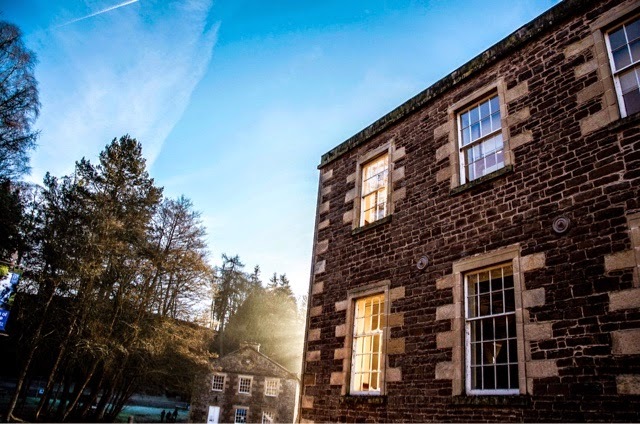 Situated in a beautiful valley, this mill town is famous due to the social pioneer Robert Owen. You can learn all about his work in the visitor centre, admire the wonderful buildings & have a bite in the cafe. I must have a little bit of a shameless plug here as one of my photographs is actually on display! 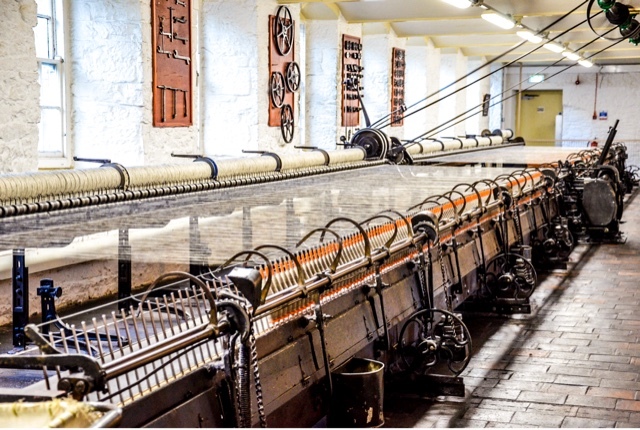 This is still a working mill so you can even see the looms in operation and buy some produce from the shop. Included in your ticket from the visitors centre you can have a ride on the Annie McLeod Experience. This is a small ride which brings to life what the village was like in its hay day. It’s a little tame for adults but perfect for primary school aged children I reckon. I should also mention that at Christmas they have a special ride & children can also visit Santa! 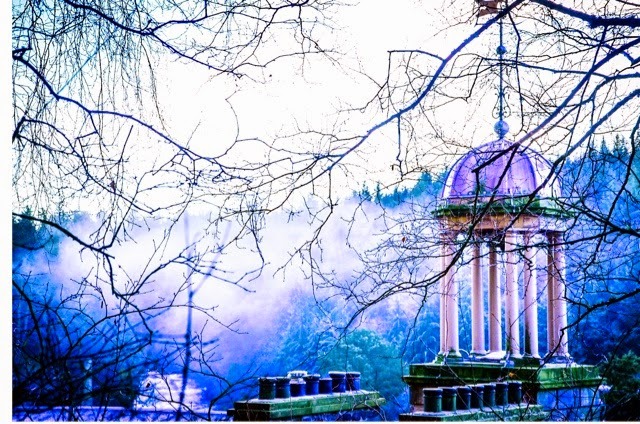 I have to say New Lanark looks that little more magical during the festive season. If you would rather stretch your legs you can walk by the river and will be rewarded by breathtaking view of the Falls of Clyde. On the way back there is also a Scottish Wildlife Trust centre where you may be lucky enough to hold an owl or falcon! 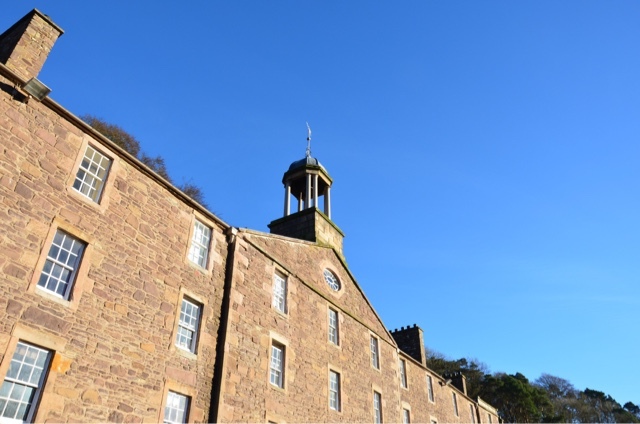 There really is a lot to discover in New Lanark so if you are in the area I really would recommend it. Here are a few photos from my last trip, I hope you like them.